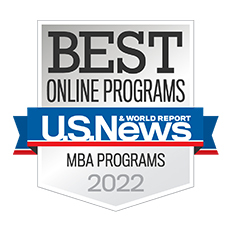 The UW MBA Consortium placed ninth in the 2019 rankings, the highest the program ever has been ranked by the prestigious publication. It moved up five spots from last year's No. 14 ranking. "We work hard to create and deliver an exceptional program so it's satisfying to see that others also are recognizing the quality and value of this MBA program," says Dr. Robert Erffmeyer, a UW-Eau Claire professor of management and marketing who serves as the director of the UW MBA Consortium. "With multiple universities involved in this online program, our format is different from many online programs, but clearly what we are doing is working." The UW MBA Consortium - which celebrated its 500th graduate in December - includes UW-Eau Claire, UW-La Crosse, UW Oshkosh and UW-Parkside. The program is managed by UW-Eau Claire. "We are in incredibly good company," Erffmeyer says of the other highly respected and often nationally known institutions that are at the top of the prestigious rankings list. "It's an honor to know that our work is helping veterans accomplish their academic goals, which positions them for even greater success in their careers," Erffmeyer says. While four campuses make up the UW MBA Consortium, since the program's beginning, UW-Eau Claire has served as the managing partner, handling nearly all administrative aspects of the program, including admitting, registering, transcribing and graduating the students. 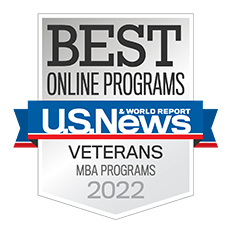 For more information about the UW MBA Consortium or the U.S. News & World Report's 2019 rankings, contact Dr. Robert Erffmeyer at erffmerc@uwec.edu.